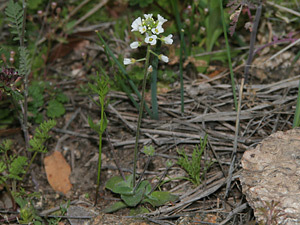 Description: The flowers are clustered at the top of a hairy flower stalk. 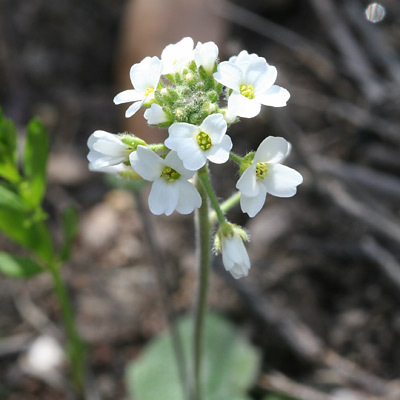 The individual flowers have 4 petals and are 1/4 inch (6 mm) wide. The flowers are followed by thin, banana-shaped seedpods. The leaves are basal, oblanceolate to egg-shaped, toothed, and covered in stellate hairs.